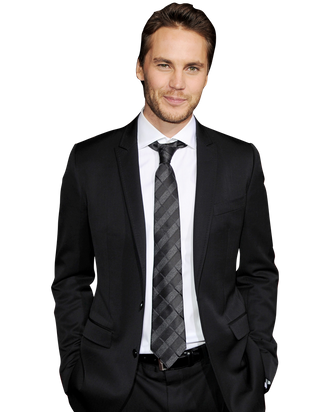 The Star Market: How Many Big Chances Will Taylor Kitsch Get? In 2006, a strapping, long-haired, slightly angry football player ambled onto our television screens and uttered two words that would change the way an entire nation (or, the thousands of people who watched Friday Night Lights) understood the American Southwest. “Texas Forever,” Taylor Kitsch commanded us as Tim Riggins, and there are many FNL viewers who wish that Kitsch — or Riggs — could have stayed in the Lone Star State, making season after season of emotionally draining television with Coach and Tami “Y’all” Taylor. But it was not to be: As Peyton Manning recently showed us, every great football run needs to come to an end. Instead, this weekend Taylor Kitsch begins the second skull-crushing phase of his career with John Carter, the confusingly marketed Civil War–Soldier-Goes-to-Mars movie that has so fascinated Vulture. In May, he will continue to shoot aliens in Battleship, Peter Berg’s $200 million based-on-a-board-game extravaganza. So on the eve of Kitsch’s transition from beloved TV star to blockbuster action star, Vulture spoke to industry insiders to answer the question: If Taylor Kitsch were a a stock, would you buy, sell, or hold? Stock History: Kitsch’s pre-FNL credits include a stint in the Canadian junior hockey leagues, modeling gigs for Abercrombie and Diesel, and small parts in unmemorable movies like The Covenant and John Tucker Must Die. (It must also be noted that he appeared in the far more memorable, if not excellent, Snakes on a Plane.) Bad boy Tim Riggins launched Kitsch into the hearts of a million women, and also into the big leagues; after playing Gambit in 2009 X Men Origins: Wolverine, he landed a formidable post-FNL schedule meant to reinvent him as an action star. John Carter will be followed by Battleship, Oliver Stone’s Savages (which, for all its pedigree, still involves “heisting cars, blowing cars up, shooting guys,” according to Kitsch), and the Navy Seal action adventure Lone Survivor, co-starring Mark Wahlberg and also directed by FNL creator and executive producer Berg, who clearly thinks Kitsch is the future. Peers: While technically in the same age range as far more established leading men like Tom Hardy (34), James Franco (33), and Ryan Gosling (31) the unproven muscleman Kitsch is nowhere near them on casting agents’ go-to lists. Instead, Kitsch is part of a pack of young but relatively unknown actors cast as much for their punches as their chops, including Chris Evans (30), Dominic Cooper (33), and Luke Evans (32). When the role calls for gun-toting and muscle-flexing, Kitsch is thought to be slightly ahead of the well-regarded Ben Foster (31), a possible co-star in the gestating Lone Survivor and the even-less-well-known A Good Day to Die Hard star, Jai Courtney (29), but behind Garrett Hedlund (27), who at the least averted financial ruin in Disney’s TRON: Legacy. Market Value: Like many of his would-be action hero peers, Kitsch is being positioned as the next big thing — meaning he has been handed two major franchises (John Carter and Battleship) without a single box-office success on his résumé. To be fair, those movies will rely more on studio power than on public interest in Tim Riggins’s new haircut. But Riggs is still Kitsch’s calling card; he is largely unknown outside of Friday Night Lights, a show that attracted zealous fans but never found a real audience. It’s likely (if heartbreaking) that most of American still couldn’t pick Tim Riggins out of a lineup. Universal’s maritime epic is even more costly than John Carter and interestingly, our insiders say that if it fails, a second bomb won’t help him, and yet if it scores it might not give him an enormous boost. A third talent agent compares him to Channing Tatum, who the rep says “is not ‘there’ yet” but is getting closer because he has demonstrated range, and successfully so, in romances like Dear John and in comedies like the forthcoming 21 Jump Street. That’s something Kitsch has yet to do, and needs to if he is to break out. Whether or not that option will be available to Kitsch, post-Carter and Battleship, is less clear. As studios search high and low for a new action star, trotting out untested actors (Sam Worthington, Chris Hemsworth) in the hopes that someone might stick, a double-blockbuster-bomb might make it harder for Kitsch to land that sensitive, leading-man role (or really any big-ticket part). Kitsch is also attached to star in Berg’s drama Lone Survivor, a serious, bullets-can-actually-kill-people look at the U.S. Navy’s failed 2005 “Operation Red Wings” mission against the Taliban that left eleven out of twelve members of the SEAL team dead. It’s an open question whether Universal would want to proceed with that movie if its Battleship sinks, but agents are bullish on his decision to participate regardless. “Lone Survivor is a very smart move — a much smaller film, much more of a character piece,” enthuses our second agent. Analysis: With two giant question-mark movies on the horizon, the question becomes: How much will Kitsch suffer if back-to-back blockbusters fail to ignite on his watch? Bottom Line: John Carter won’t wound Kitsch’s career, but if he doesn’t find a movie that establishes him outside the Friday Night Lights universe (and fast), his anonymity might.